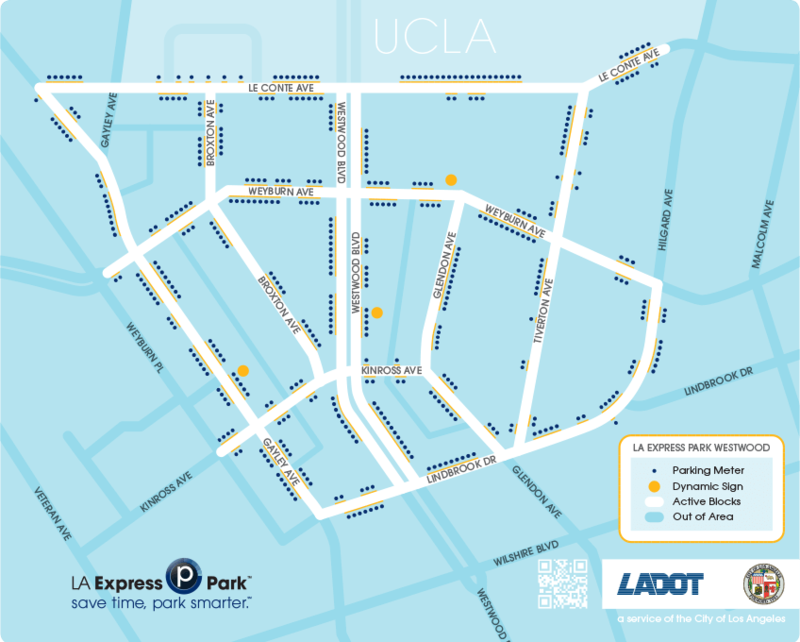 Finding parking in Westwood Village can be a frustrating experience. Trying to find an open spot, circling until you do find one, and then figuring out what and how to pay all add up to making parking a trying experience! The City of Los Angeles Department of Transportation (LADOT) understands the challenges that parking presents and has developed a way to make parking more convenient. LA Express Park uses new technologies and good old-fashioned common sense take the stress out of parking and help relieve traffic congestion. We all know that Los Angeles has some of the most congested traffic conditions of any city in the world. When drivers cruise around the streets looking for an empty parking space, it has a ripple effect that adds to regional congestion, driver frustration, and pollution. LA Express Park will reduce cruising and related pollution, as well as reducing traffic congestion. LA Express Park uses a system called demand-based pricing. Demand-based pricing is a concept that has been used for many years by airlines, entertainment venues and professional sports teams. When demand for parking is high, parking rates will go up; and when demand drops off, rates will fall. This use of demand-based pricing will help LADOT better match the supply of on street and garage parking spaces to the demand. In other cities the use of this pricing concept has resulted in motorists making trips at off peak hours rather than when roads are congested and parking spaces in short supply. Varying the price also makes the public more aware of their travel options and as a result, some who now drive may choose to take a bus or train, or even ride their bikes. 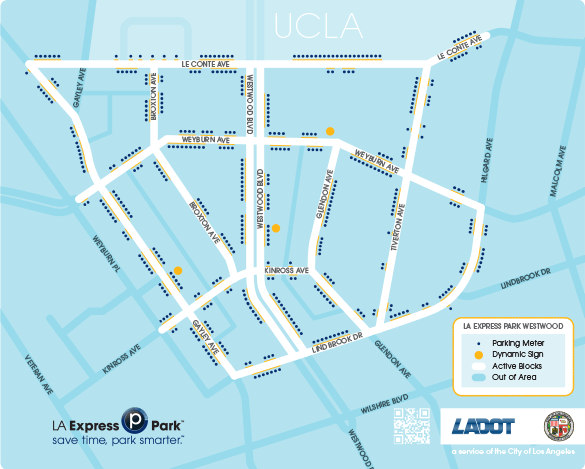 LA Express Park’s goal is to make parking easier to find in Westwood. This saves time and helps relieve driver frustration. It also helps the City reduce congestion that costs the public time and money. The demonstration area is bounded roughly by Le Conte Ave, Gayley Ave, and Lindbrook Dr. Within this area, around 450 on-street metered spaces will be utilized. See below for detailed street map. The technologies that LADOT will use include in-ground sensors that know when parking spaces are filled or empty, smart parking meters that provide a variety of payment options, and a central parking management system that collects data from the sensors and smart meters. After the data is processed, the information is made available to drivers in real time through a smart phone app, changeable message signs strategically located around the project area, the LA Express Park website and eventually Go 511. In-ground sensors help LA Express Park know when and where parking spaces are available. The information collected by these sensors is sent to the parking management system that will guide drivers to open spaces. Sensors also play a vital role in helping determine pricing as real-time demand and occupancy information is provided to the parking management system. 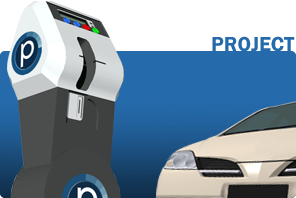 The Parking Management System provides a suite of applications and tools to facilitate monitoring, analysis and management of on- and off-street parking in the City of Los Angeles. This is accomplished through the collection and consolidation of data from meters, sensors, collection systems and off-street management systems within the Central Management System and is used to feed and drive the analytics, reporting, and parking management subsystems. Parking managers will have complete visibility into the current conditions of the project area and use this information to make real-time decisions on rate structures and directed enforcement in order to maximize performance and revenues. Algorithms for demand-based congestion pricing will assist in the analysis of the data to provide modeling of pricing adjustments to better inform the parking managers of potential changes to the pricing structure. The data collected from all the LA Express Park program elements, in-ground sensors, smart meters, and traffic information will result in real-time parking information provided to the motoring public. This information will be used to guide drivers to open parking spaces via the LA Express Park website, smartphone applications, changeable messaging signs and eventually on Go 511 and in-dash navigation systems. 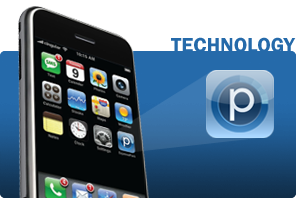 Obey all traffic laws when using smartphone apps. Only hands-free devices may be used while driving. 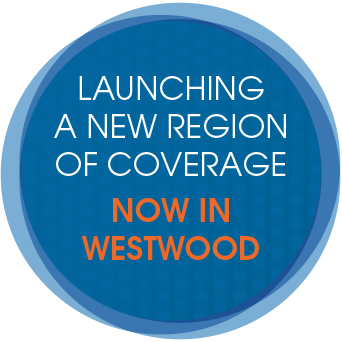 LADOT is installing changeable message signs at key Westwood locations. These signs will be connected with the parking guidance system to offer motorists real-time information about parking availability. LADOT has been using smart meters for several years. 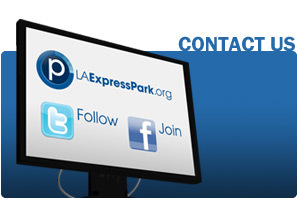 LA Express Park builds on that foundation using a new generation of state-of-the-art smart meters that allow motorists to use coins, credit or debit cards, or their smartphone to pay for parking. 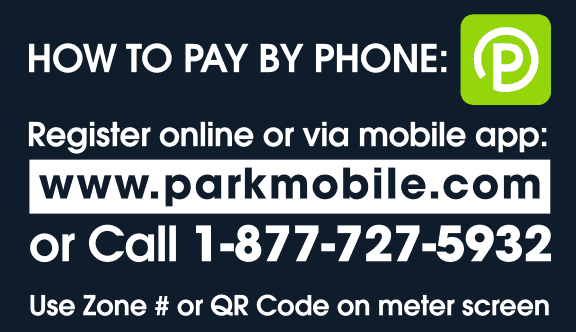 These meters will not accept payment for any time beyond the posted time limit. This feature allows more turnover of on-street parking. These new smart meters also utilize a QR code shown on the meter screen that links to the parking application.